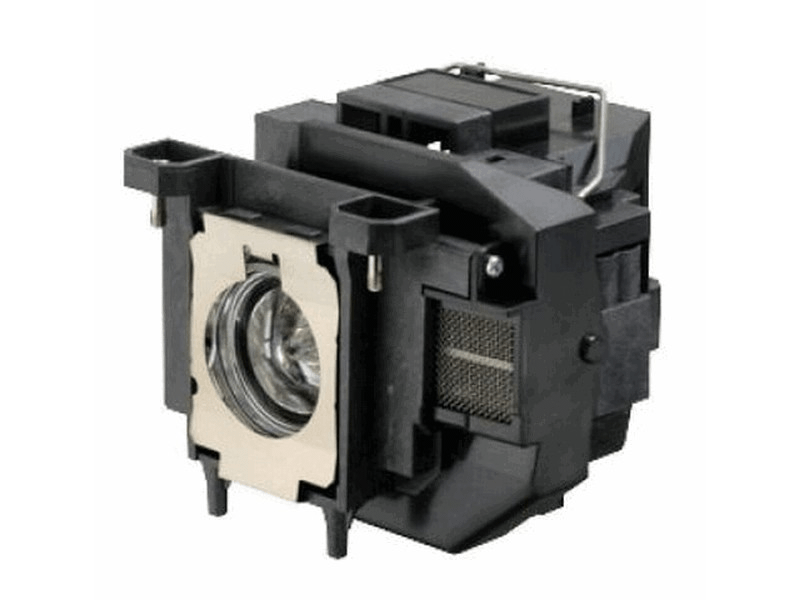 The Epson ELP-LP67 projector lamp replacement comes with a genuine Osram 200 watt replacement bulb with a rated brightness (lumen rating) of 2,600 lumens. The ELP-LP67 lamp has a rated life of 4,000 hours (5,000 hours in Eco mode) and is guaranteed to perform the same as the original Epson lamp. ELP-LP67 Epson Projector Lamp Replacement. Projector Lamp Assembly with High Quality Genuine Original Osram P-VIP Bulb inside. So far so good! Much brighter than the cheap replacements. Just as good as the original replacement bulb so far. Only used one night so far. I buy lamps for a large school and this is the ONLY place I buy them! Very easy to work with. I had a bad one once, and they exchanged it immediately, no questions asked. Will continue to use Pureland Supply.